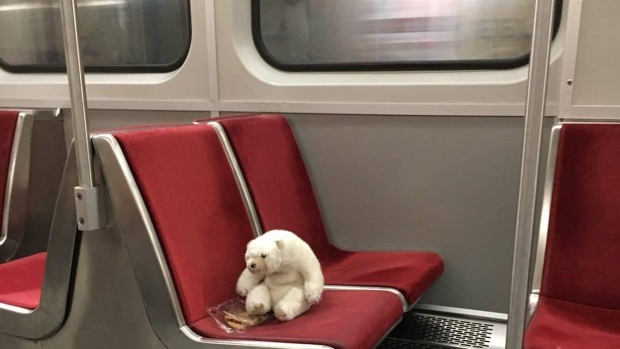 A stuffed polar bear found riding the TTC alone has become a social media sensation after a couple eager to reunite the toy with its owner took the bear out on the town. 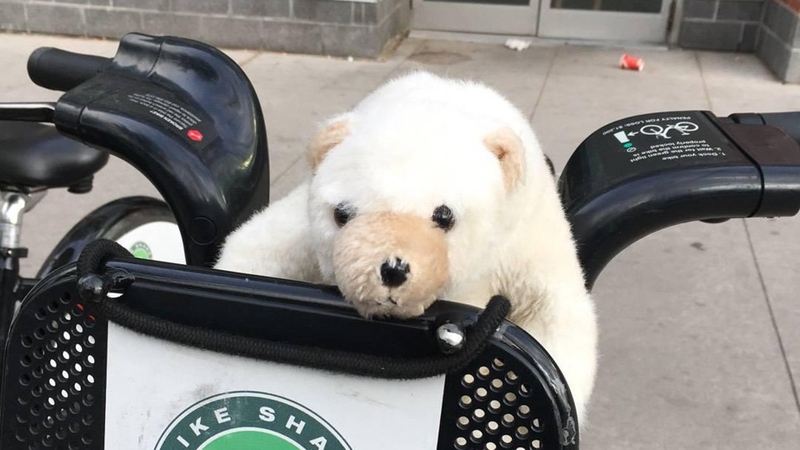 Rhonda Riche said she and her husband spotted the stuffed white polar bear alone, on an eastbound subway train at Ossington Station Monday evening at around 5 p.m.
With their stop coming up and realizing that the TTC’s lost and found would be closed that day, Riche decided she might have a better shot at getting him home herself. 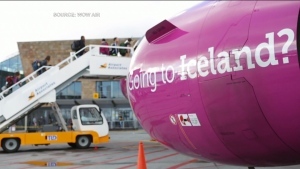 “I was afraid that if I didn’t take it, he might just get thrown in the garbage or someone else might take him, and also that it would be much faster if we just went to social media,” Riche said. 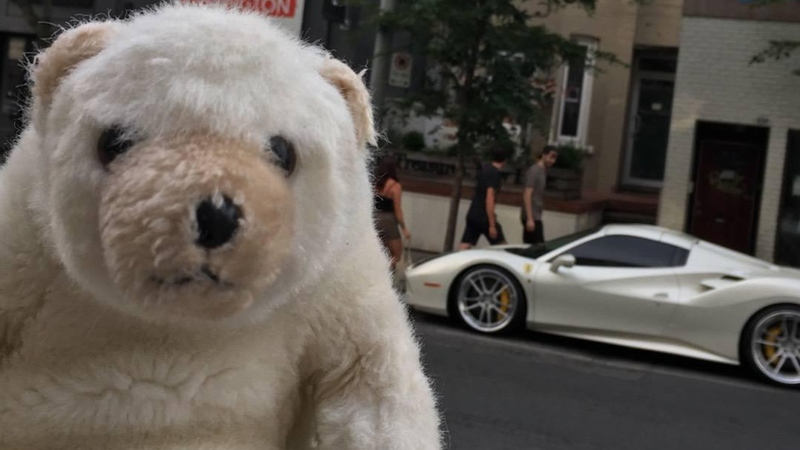 So the couple took “Ossington Bear,” as they dubbed him, along on their outing to the Ossington Avenue and Queen Street West area. 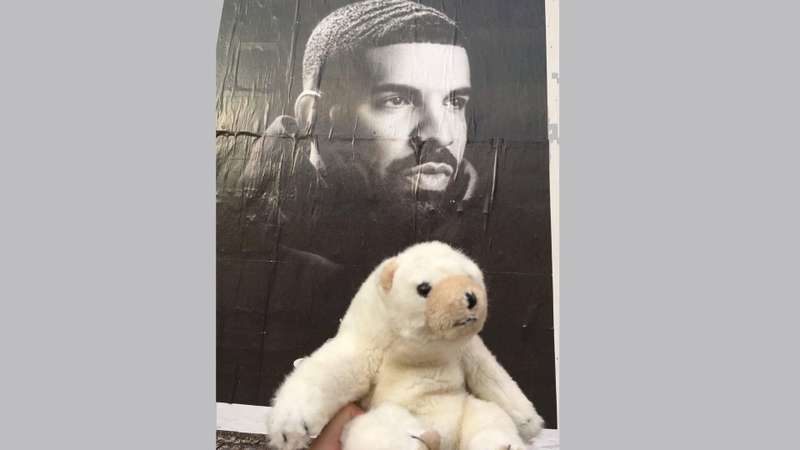 When they got home, Riche took to the Bunz community to share Ossington Bear’s story and appeal for help finding his owners. “I’ve seen on Bunz, because I’ve been a longtime member of that community, many a miracle with wallets and keys. So I thought Bunz is the place to go,” Riche said. In terms of getting the word out, it turns out that she was spot on. Hundreds of people have liked the post so far. The TTC has tweeted it out as well. Riche said that with all the negative news from Toronto’s streets over the weekend, she’s glad that the story has given people in the city something positive to rally around and she said she’s not surprised that the post has spread so far. “I wasn’t surprised because I’ve always believed that the people of Toronto are good and connected and a real community,” she said. “Sometimes we seem like a city of strangers, but at the end of the day we’re not. So I’m not surprised. There haven’t been any leads so far, but Riche said that she’s keeping Ossington Bear comfy in the meantime. While she’s having fun hanging out with the bear, she’s hopeful all the attention will eventually lead her to his rightful owner.